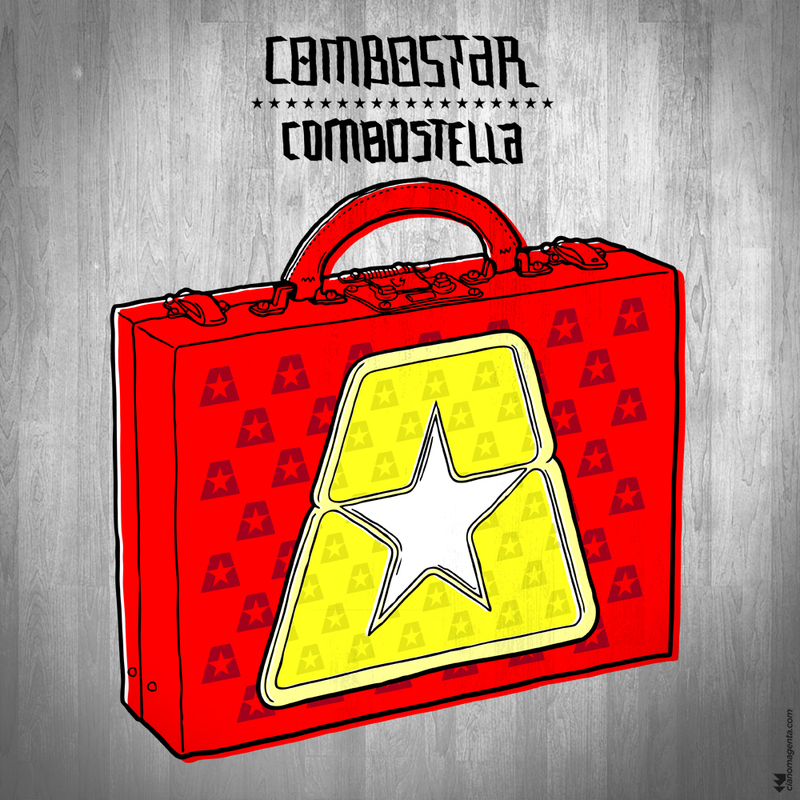 LA VALIGETTA is proud to release – after almost 10 years from the Filtered-HouseHits IN MY SOUL and SHINY IDOL – the comeback ep Combostella from Frenchhouse producers COMBOSTAR. COMBOSTAR are 3 Parisian music lovers: 2 brothers, Rudy & Denis and Raphael. They started producing music in the ’90s influencd by French-touch, Hip-Hop, Funk & Soul: Cassius, Daft Punk, Dr. Dre, Joe Claussell, Lonnie Listom Smith just to name a few. They collect vintage synthesizers and others legendary drum machines in order to perpetuate their influences. They’ve released huge French-house hits like IN MY SOUL in 2003 (Chateau Funk) and in 2005 SHINY IDOL (Indecence Records). After this they released many tracks on differents worldwide House Labels (Shiny Disco Club, Indecence Records, Awesome Music) and produced funny remixes for many artists: Overklash, The Soundbluntz, Dj Sam Young, Justin Xara. All for one goal: the dancefloor. Now COMBOSTAR are back with a new 4 original tracks ep early supported byMstrkrft, Hudson Mohawke, Human Life, Nick Catchdubs (Fool’s Gold), Taku Takahashi, La Zebra, Sharooz, Spiller, Joey Chicago, Lazy Ants and lots of others.